PORTOLA HILLS LIVING by Kelly Turbeville: A spooky pause for Portola Hills Real Estate in October? It's all perspective..
A spooky pause for Portola Hills Real Estate in October? It's all perspective..
What a difference a year makes in Real Estate. This past month the real estate market in Portola Hills took a dramatic pause. What do we mean by a pause? Looking at the number of homes sold and comparing to the previous year; sales were down dramatically. The area had only 2 closed escrows in the month vs. 8 in 2015. The two homes that closed escrow were in the Bella Palermo complex; both condo's. The good news of course... prices were up. Below is look at what homes closed escrow in October. Oct 2016 Median: 3 Bedroom/1156sqft. = $436k or $378 per square foot. Oct 2015 Median: 2 Bedroom/1014sqft. = $345k or $337 per square foot. 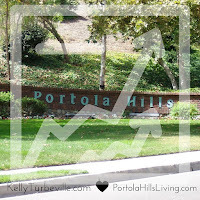 Great news for condo owners in Portola Hills, from this time last year home values were up 21% in October! Overall in South Orange County the Condo/Townhome market is extremely strong. Supply of available homes is extremely low and demand is very high. I don't normally mention or really even look at pricing of homes that went into escrow for the previous month. These are not counted against values until they actually close escrow. Too many things can happen, they may fall out of escrow or they don't show reductions or price gains until the close. However, I will note since we didn't have any Single Family Homes close escrow in October; 3 homes did go into escrow during October. If you are considering a move and waiting until after the holidays... Let's meet and review the market demand today! Listing your home now may actually help your purchasing dollars go further. The rule of supply and demand always work and historically we see interest rates tick up after an election. With each quarter of a percent increase in rates, the value of the home you can afford decreases by 2.5% Experts predict an increase is coming.. It really is the perfect move up scenario.. Act now to get the most house for your money! Plus imagine the holidays in your new home! It's Possible!